Run in parallel with the Berlin Art Song Festival, Imogen joins a five-day masterclass for nine promising up-and-coming artists led by Caroline Dowdle (Royal Opera House; Samling Foundation). Partnered with pianist Marianna Abrahamyan, Imogen joins the 2018 Berlin Art Song Festival Masterclass Artists to present a concert at Knutson Studios, a beautiful art-laden converted loft and home to the piano of the late lieder legend Dietrich Fischer-Dieskau. 3pm / 22.04.18 / Knutson Studios, Berlin. Imogen is delighted to make her debut as Musetta in a concert version of La bohème with new opera company, Berlin Italian Opera, under the direction of Philip Headlam (Royal College of Music) and Nina Brazier (Frankfurt Oper). 7.30pm / 22.02.18 / Theater Morgenstern, Berlin. Festive Times, Festive Spaces was originally published by the Goethe-Institut. This article was commissioned by the Goethe-Institut and first appeared on www.goethe.de. The festive season is a time for music making. Performances often explore themes of reflection and celebration during this time of thankfulness. To welcome 2018, I had the opportunity to perform at the Kammermusiksaal der Berliner Symphoniker. “New Year’s Gospel Gala: Donna Brown and Friends” showcased the Golden Gospel Pearls performing gospel standards in the first half. I joined the Soul of Berlin Jazz Orchestra and Singers led by Donna Brown in the second half. The programme featured “The Abyssinian Mass”, a 2008 jazz mass by trumpet player and composer Wynton Marsalis. The piece was commissioned to commemorate the two hundredth anniversary of Harlem’s Abyssinian Baptist Church – you can find out more in this short video. For the New Year’s Gala, musical director Donna Brown formed an ensemble of twenty professional singers to perform seven movements of the larger work with the Soul of Berlin Jazz Orchestra. For a taste, check out this live recording of the movement “Recessional: The Glory Train” performed by the Jazz at Lincoln Center Orchestra with Wynton Marsalis and Chorale Le Chateau. Playing trumpet from a young age and through university, I was involved in Wellington’s jazz hive and became a member of the Rodger Fox Big Band. Seeing Wynton Marsalis perform with the New Zealand Symphony Orchestra as part of the 2016 NZ Festival was an exhilarating moment. The featured work, “Swing Symphony”, was commissioned by four major orchestras - one of the partners being the Berliner Philharmonie. Inspired, I began to explore jazz vocals - specifically, works that required stylistic knowledge of jazz with the vocal range afforded to classically trained singers. I went on to perform the soprano solo for Will Todd’s “Mass in Blue” in both Tauranga and Wellington. During my first month in Berlin, I saw a post on a Facebook group and jumped at the chance to audition to perform a composition by Marsalis. I did not yet realise the cultural weight of the Berlin Philharmonie as a venue, or foresee how many incredible singers and musicians I would meet through the rehearsal process. It was an experience I will never forget. Beyond the thrill of performing joyous and difficult music, this opportunity shaped those first few challenging months where I was finding my feet in a new country. And with the words from the mass, “In this great land of ours, everyone has a place”. This first festive season away from home was one to be supremely thankful for. As a featured writer Living Language writer for the Goethe Instiut, Imogen explores how learning a new language opens up a world of possibilities. 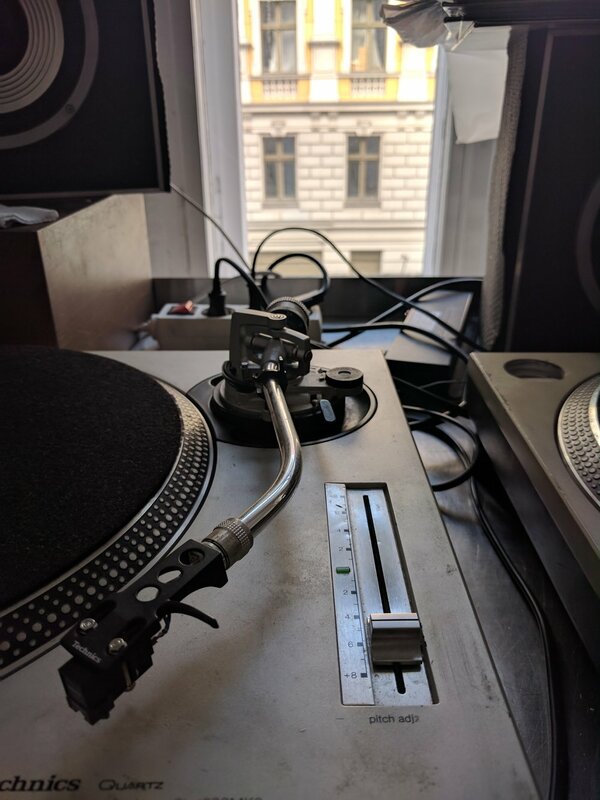 TUNING IN is an eight instalment monthly blog from a Kiwi singer in Berlin (Imogen Thirlwall) and a rhythm researcher from Germany in the New Zealand capital (Katie Rochow). Imogen gratefully acknowledges Catherine Norton, Barbara Graham, Cameron Barclay, Daniel O'Connor, Declan Cudd, Elisabeth Harris, Jess Segal and Stuart Coats. Join us: 7pm / 21.07.17 / St Andrew's on The Terrace, Wellington.